Dr O’Brien graduated from the University of Queensland in 1974 and after spending two years working at the Princess Alexandra Hospital entered general practice at Pinelands Plaza in Sunnybank Hills. 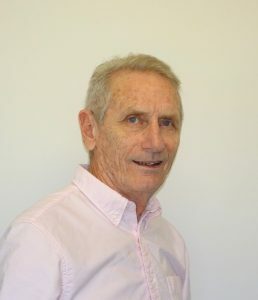 In 1980 Dr O’Brien gained his fellowship from the Royal Australian College of General Practitioners and is vocationally registered. Dr O’Brien and his wife Helen, built what is now the Sunnybank Hills Medical centre in 1985. Their vision was to create an on-site muti-health service where patients could be helped with their medical conditions without leaving the centre. The practice, as a result has now grown to 11 GP’s and many supporting allied health disciplines. My favourite thing about being a GP is following patients on their journey through life. He had his own business mowing lawns as a medical student. Outside of the medical centre I love to play sport, especially tennis, golf, snow skiing and travelling.